This is a nice book for toddlers, the bright illustrations and catchy writing will keep them trying to guess the answer at the end. 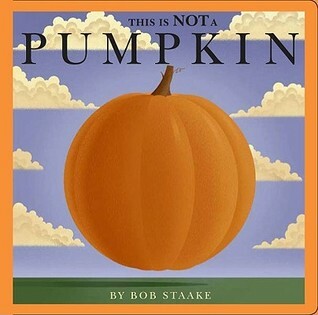 As children read they start questioning why it is not a pumpkin and try to guess. I had one child say "Miss maybe it's a basketball"; keep in mind the child was three and his reasoning was that basketball were round and orange. Overall, it's a good fun book for the little ones.